Most midsize and larger companies use recruiting management software to screen applicants for job openings. So when you apply online your resume is entered into a database. Popular companies will get hundreds of applicants for each job it posts. “Resume keywords” are the words that a hiring manager (or HR) types into their computer to narrow their selection of applicant resumes that have been entered into their company’s database. In order to be selected and “pop-up” in their search, your resume needs to contain the keywords that they type in. Most people often ignore this critical part of the application process. Your resume’s keywords need to include specific job requirements, your skills, software and technology competencies, relevant credentials and industry buzzwords. To uncover the keywords to use, take a look at some actual job postings. Search for job listings that match your background and experience. Look at the keywords included in the job postings and incorporate them into your resume. No one can know exactly what keywords a person will choose to use when an employer searches and sorts through resumes. This technique has been extremely successful for my clients and others who have used my Winning Resumes book. Write out your professional experience for your most recent job. List your major work task duties. This will ensure you have the important keywords in your resume. Many employers reveal that they search work tasks to begin to narrow the applicant pool. Be specific. The more focused and specific you are the better chance you’ll have at being a good match in the hiring manager’s search to narrow applicants and be one that they actual see and review. To incorporate your work tasks into your resume experience, create the first sentence under professional experience as a “summary sentence” that covers the vital work tasks you performed for that job. Served as a design engineer working on airplane structures and systems. Responsibilities included: designs of productions parts; new tool creation; process improvements; change management; production flow; project management; client relations; collaborated with both client’s technical teams and internal teams; established best practices; troubleshoot; analyzed/reviewed and implemented prototype design. Take the time to be sure you have all the major responsibilities listed as these keywords mean the difference between getting noticed, or remaining lost in cyberspace and never getting the phone call to come in for an interview. 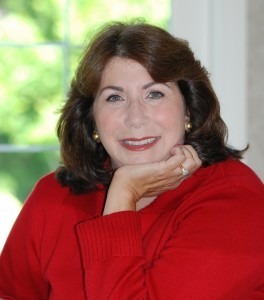 Career Counselor Robin Ryan provides individual job search coaching services to clients nationwide. The bestselling author of Over 40 & You’re Hired; Winning Resumes; Winning Cover Letters; and 60 Seconds & You’re Hired! ; Robin Ryan has appeared on more than 1,500 TV and radio shows including: Oprah, Dr. Phil, Fox News, and CNN.